If you have any unique exposures, you must obtain umbrella insurance. 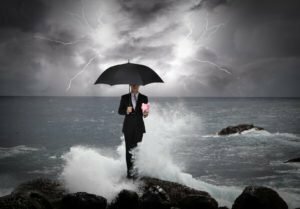 For example, if you run a home-based business or partake in dangerous activities, an umbrella policy would provide you with the security necessary to continue life as usual. Individuals who would not be able to comfortably afford paying for claims out of pocket should have an umbrella policy. Since expensive claims can leave an individual in financial ruin, this is an essential safeguard from unique threats. Those with a unique past claims history often opt for umbrella insurance due to previous experience. The claims process is never enjoyable, but with guaranteed security under your umbrella, you can conquer the claims process with ease. Contact Pierce Insurance Group in McKinney for all of your Texas umbrella insurance needs. We will help you extend your liability limits so that you are receiving the protection you deserve.